So, you may have heard of a disaster in Puerto Rico lately. To be sure, the island’s infrastructure was already in a shambles and well, we know about the finances. So of course, Trump opened his yap, and mentioned that Puerto Rican government debt needed to be gone. Oopsie, that’s an issue for bond investors… esp. the kind of bond investors that like investing in junk munis. To make it simple, here are a bunch of news stories. Trump visited Puerto Rico on Tuesday, October 3. He said various tossed-off remarks, some of which people tried to puff up into something and not much really moved at all. Somebody made some money off of custom T-shirts, as far as I can tell. Except for what he had to say about Puerto Rico’s financial situation in a Fox News interview with Geraldo Rivera. GERALDO: …will we see a Trump plan to rebuild this poor island? TRUMP: Well, we’re gonna help the people, ya know, look, this had a lot of problems and a lot of debt, at $72 billion in debt before the hurricanes hit. And they had a power plant that didn’t work before the hurricanes, so we’re gonna help them, we’re gonna do something and we’re gonna get it back on its feet. GERALDO: A message to the Puerto Rican people, though, to what extent do you commit to help rebuild this battered place. TRUMP: Well, we’re gonna work something out, we’re have to look at their whole debt structure. You know, they owe a lot of money to your friends on Wall Street, and we’re gonna have to wipe that out. That’s gonna have to be, you know, you can say goodbye to that — I don’t know if it’s Goldman Sachs, but whoever it is — you can wave goodbye to that. And that was the big policy pronouncement from Trump. I will note that Geraldo kept interrupting Trump, and Trump didn’t seem to mind. The way he talks, you might as well cut in at any time that’s convenient. Otherwise, he’ll just keep going. If Puerto Rico is without power for months after Hurricane Maria, as authorities now warn, many investors in the $9 billion of Puerto Rico’s outstanding electric utility bonds risk never seeing their money. When Hurricane Maria hit Puerto Rico early Wednesday, it not only devastated the island with 155 mile-per-hour winds and flooding, the storm also knocked out the electricity across the island, with a population of more than 3 million. Gov. Ricardo Rosselló told CNN on Wednesday night that Puerto Rico’s debt crisis will make recovery very slow and electric power will be one of the toughest things to bring back. The power grid is “a little bit old, mishandled and weak,” Rosselló told Anderson Cooper. If damage to power generation facilities is as severe as reported, “I’m afraid it’s probably going to be severe. If it is … we’re looking at months as opposed to weeks or days,” said Rosselló. A lot of money flowed out of the original bond buyers (who may no longer be holding those bonds) and the federal government. Cate Long for years has decried the awful state of Puerto Rico’s financial statements – no, not talking about the indebtedness (though that’s obviously bad), but the integrity of the statements themselves. The document she links to is from her, dated September 1, 2017. “There is no one who has access to a complete picture of the government’s financial situation. improve governance and internal controls. “No hay nadie que tenga acceso a una visión completa de la situación financiera del Gobierno. No hay transparencia”, comentó Ana Matosantos, miembro de la Junta de Control Fiscal, durante la novena reunión de la Junta celebrada el viernes. Looks like that’s exactly what Ana Matosantos said (albeit an English version). Commonwealth’s fiscal and financial situation. obtained a detailed liquidity report for the Government of Puerto Rico. critical feedback measures to assess the impact of actions undertaken. against creditors in the Title lll process. The Board has turned the PROMESA process upside down. I can think of loads of reasons. But the main thing is that they won’t really be starting from zero. Not everything is going to be discharged — what about pensions? Are those people going to be given zero? You need to have a reckoning before you can actually start settling things. It doesn’t really matter what Trump said. Bondholders already knew they were going to get whacked, because the ones still hanging around are vulture funds who specialize in this. Or they’re local people who are just hoping that somehow they’ll get what they were promised. Or something. Here is one person’s estimation of what people will get. Puerto Rico bondholders should only expect to recover 10 to 20 cents on the dollar when the island emerges from its record-setting bankruptcy, in line with recoveries seen when sovereign nations default, according to Kyle Bass, managing partner of Hayman Capital Management. Puerto Rico bonds tumbled to record lows this week after President Donald Trump suggested the island’s $74 billion debt load should be wiped out in the aftermath of Hurricane Maria. The bonds recovered slightly after White House officials clarified the president’s statements. Yesterday, White House press secretary Sarah Huckabee Sanders said he wanted the issue resolved in court, as is currently the case. Puerto Rico general-obligation bonds due in 2041 traded Friday for an average of 35 cents on the dollar after tumbling as low as 28 cents this week. Earlier this year, Puerto Rico declared a form of bankruptcy to restructure its debts in court, an option that Congress extended through emergency legislation enacted last year. Hedge funds are not the only holders of the island’s bonds: Puerto Rican residents hold billions of the securities. That was independent of what Trump said. The debt will be “wiped out”, but not to zero. Close to zero, most likely, though. Because Puerto Rico ain’t going to get fully bailed out, meaning the bondholders and pensioners will likely end up with a lot less than originally promised. Puerto Rico’s pension system was in crisis. Hurricane Maria made it into a catastrophe. Before Hurricane Maria crashed into Puerto Rico, the island faced an ugly battle over the almost $50 billion it owes in pension benefits for public employees. The devastation has made that dire situation even worse. “We’re going to have to go back to the drawing table and see how we can restructure the pension system in a way that’s sustainable,” says Sergio Marxuach, policy director with the Center for a New Economy, a think tank in San Juan. The success of that restructuring will now depend, in large part, on how much aid comes from the U.S. government for hurricane reconstruction. The bolded is an understatement. An article from April 2016: Puerto Rico’s other crisis: impoverished pensions. No, not optimists. They were delusional if they thought their contribution rates would ever be sufficient. That’s less than impressive. That’s Chicago MEABF-level underfunding. Kentucky ERS level. That’s bad. In March 2017, the NYT noted that the fund would run out of assets in the next couple years. Puerto Rico, a United States territory, ran off the rails by using debt to spend beyond its means. Year after year, the government could not balance the budget and borrowed instead, building up a debt of more than $70 billion. Last year it defaulted, and the federal government stepped in, trying to restore fiscal order and bring about a giant debt restructuring. Pensions will be part of that restructuring. Puerto Rico also owes retired public workers more than $40 billion that it has no immediate way of paying; more than $13 billion of that is owed to retired teachers. Last week, Gov. Ricardo Rosselló of Puerto Rico called for giving current teachers a new, separate retirement plan, to spare them from having to help pay what the government owes its retirees. Puerto Rico has passed pension reforms that include making payments to the depleted defined benefit system from general revenues, and creating a defined contribution plan for active workers and new hires. The reforms were passed Aug. 10 by the commonwealth’s Legislative Assembly and signed Wednesday by Gov. Ricardo Rossello. The changes are subject to approval by Puerto Rico’s Financial Oversight and Management Board, also known as PROMESA for the Puerto Rico Oversight, Management and Economic Stability Act under which it was created. The oversight board has its own plan for pension reform that calls for progressively reducing pension benefits by a total of 10% for most participants and enrolling all active members and new hires in defined contribution accounts. That they’re explicitly going to pay-as-they-go isn’t great, because pretty much they’re not going to be able to keep up with that, eventually. Though supposedly active workers will get transferred over to a DC plan – I wonder what will happen to their already accrued DB benefits. I didn’t see the detail on that. A few more items on the public finance disaster that is Puerto Rico, and I’ll have done. Megan McArdle: Debt Alone Won’t Crush Puerto Rico. Depopulation Is the Curse. [T]he fact remains that Puerto Rico is not going to be able to pay all of its debts. Prior to the hurricane, the territory had $73 billion in outstanding debt, and a population of 3.4 million people. That’s approximately $21,500 for every man, woman and child on the island – just about enough to buy each of them a brand new Mini Cooper, provided that they don’t insist on the sport package or the heated seats. Puerto Rico couldn’t afford to buy 3.4 million Mini Coopers before; they certainly can’t now that Maria has washed out so many roads. Even before the hurricane, Puerto Rico’s GDP was around $100 billion, meaning that repaying its debt would consume nearly nine months of everything the island earned. And while there will probably be a brief bump in economic activity as disaster relief funds pour in and the destruction is cleared away, over the long term the hurricane represents a huge setback: businesses destroyed, people killed or injured, funds that could be generating economic growth instead diverted to simply replacing what has been lost. So whatever President Trump does, or does not do, investors in Puerto Rican bonds are going to have to take a substantial haircut. The problem is, we’re not going to wipe out the debt entirely. And even if we could, it wouldn’t be enough to get Puerto Rico back to economic or fiscal health. None of those things will change just because we wipe out the bondholders. And the bondholders are not Puerto Rico’s only creditors; it has an unfunded pension liability of roughly $50 billion. Covering the current liability will consume more 20 percent of the budget. That figure will only grow, because the biggest problem of all is Puerto Rico’s rapid demographic decline. There has long been a steady migration from Puerto Rico to the mainland. By 2008, there were more Puerto Ricans in the rest of the U.S. than there were in Puerto Rico. But the economic crisis has accelerated that flow to staggering levels. Worse still, the flow is selective: young families, professionals and skilled workers migrate in search of better opportunity, while the old and the dependent stay home. In just one year, 2014, almost 3.5 percent of the young adult population migrated. As people move, the effect won’t only be economic. The debt burden will stay the same size, but it will be spread over fewer and fewer people. The same will happen to all the other fixed expenses of the government — things that also cannot be easily ordered away by a president, or a court: the pension bill, the roads, the hospitals and airports. Whatever happens with Puerto Rico’s debt, the Wall Street bankers will probably be fine. But unless we find a way to help the territory reverse these catastrophic trends, Puerto Rico will not. Yes, isn’t it interesting that the people with the most resources, and the most money move away. Various states in the U.S. should be taking notes. Puerto Rico has been a United States territory for more than a century, and its people have been citizens since 1917. They do not vote in national elections or pay federal income taxes, but those are not the biggest differences between Puerto Rican residents and their fellow American citizens. The island is distinguished by its poverty and joblessness, which are far worse than in any of the 50 states. The territory’s economy, moreover, has fallen further behind the national one over the past three decades. Bad government—not just locally, but also federally—is largely to blame. Yet most Americans are oblivious to the Caribbean island’s problems. The place did earn a rare and brief mention in some mainland newspapers earlier this month [May 2006]. Its government had hit a borrowing limit and partly shut down for a couple of weeks, putting 95,000 civil servants out of work. Then leaders in San Juan—the commonwealth’s capital—agreed on a budget deal that let the government borrow more and resume paying people. The drama ended, and life there reverted to its depressing former state. . . .
Puerto Rico’s annual income per person was around $12,000 in 2004, less than half that of Mississippi, the poorest state. More than 48% of the island’s people live below the federally defined poverty line. That poverty rate is nearly four times the national average, and more than twice as high as in poor states such as Kentucky, Louisiana, Mississippi and West Virginia. Half the working-age men in Puerto Rico do not work. Officially, only 46% of those who are not pursuing a degree have formal jobs, compared with a United States average of 76%. The territory does have a big informal economy. But María Enchautegui at the University of Puerto Rico and Richard Freeman at Harvard University have looked into this, and reckon that counting unofficial workers boosts the employment rate only to 55%, at best. And in an older post, I noted the great population decline. It’s always been dangerous to lend money to one’s own government, even in the days of gold- and silver-backed currency. Part of the reason Jews were expelled and the property confiscated in medieval Europe was as a quick-and-easy way for various monarchs & aristocratics to “discharge” the debts they owed them. Also, to grab a bunch of dough for the monarchs when they wanted to fight their wars. An extortionate taxes just weren’t cutting it. Now, there is a flip side to this. 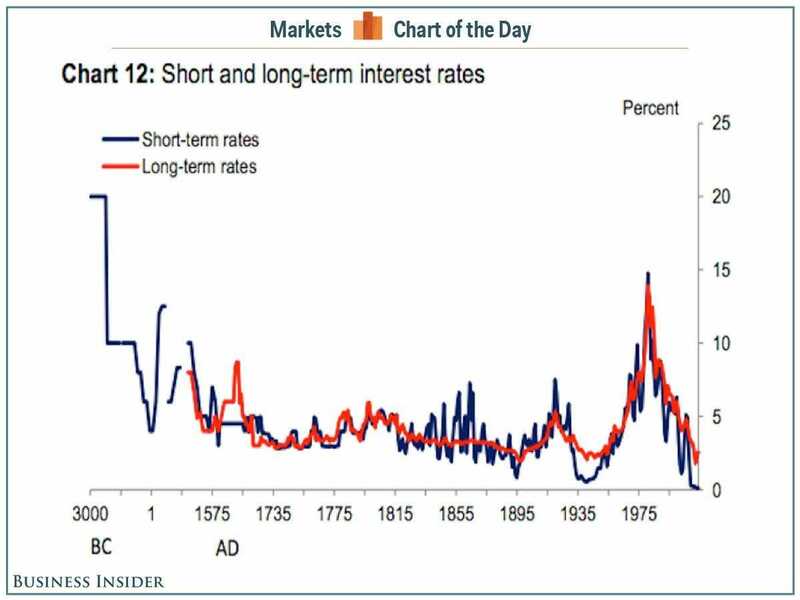 The reason governmental borrowing interest rates have been relatively low, compared to the historical rates European monarchs had to pay is that the repayment history and legal protections for bondholders have been much better than those for medieval European Jews. The defaulting-on-government-bonds trick works about once, and then nobody ponies up the dough. Doesn’t give a lot of detail for the medieval period, but you get the gist of it. This goes back to two years ago, but my argument hasn’t changed in these two years: nobody should have trusted Puerto Rico’s recent promises. [NYT article] “Even some of the riskier debt, which previous administrations had difficulty selling to investors in the rest of the United States, found a home in the investment accounts of ordinary Puerto Ricans, according to former finance officials. [me] This is really bad. This is not unique to Puerto Rico, btw. This is what set off some of the Greece crisis back in 2010 (or was it 2011) — banks loaded up on Greek debt because: 1. it was high yield in a very low-interest-rate environment and 2. banks didn’t have to hold any capital against sovereign debt. When the other party is a governmental body, you have to be real careful about flogging the law. Governmental entities don’t make it easy for you to sue or collect on them. These bonds are high-yielding in the muni space. THERE IS A REASON THE INTEREST RATES ARE HIGH ON THESE. The vulture hedge funds think they can ride the political risk of dealing with government debt. Maybe they can — but maybe they can’t. Chelsea Clinton’s husband had a hedge fund that risked it on Greek assets. It didn’t turn out well. When even the politically-connected get burned, there may be stronger forces in play. Like nobody around to pay the debt cash flows. This is “developing”, as “they” say. Yes, the hurricanes were not much of a help, but hurricanes hitting Puerto Rico is not exactly a rarity. Various federal funds will be pouring in to help rebuild infrastructure… and I hope somebody outside Puerto Rico is keeping track of where the money is going and if anything is actually getting built. That does seem like something Donald Trump is well-suited for. One issue I’m still not sure about are the unfunded pensions that are not explicitly pay-as-they-go. They can’t support full cash payments, so what’s going to happen there? People don’t treat unfunded pension liabilities as real debt (like with bonds), but the pensioners and employees are essentially lending money to the employer when the pensions are underfunded. At least the silly muni-bondholders had a choice to buy the bonds; the employees/retirees didn’t have much say about lending the government money from their pensions.